Sidney BC Canada is located on the northern tip of the Saanich Peninsula on the southern tip of Vancouver Island. Sidney BC Canada is on the shores of the Salish Sea and is considered a gateway to the Gulf Islands and referred to as "Sidney by the Sea" and Book Town (10+ bookstores). Activities most enjoyed in the Village of Sidney BC Canada and North Saanich includes whale watching, boating, sailing, ocean kayaking, fishing, beachcombing, sightseeing, touring, cycling, hiking, scuba diving, biking, beachcombing and shopping. So, as you can see, there are plenty of things to do in Sidney BC Canada. A few of the more popular activity and sightseeing destinations located in Sidney BC Canada and North Saanich and the surrounding area includes the Sidney Spit National Park Reserve, Sidney Waterfront Walkway, Francis/King Regional Park, Lochside Waterfront Park, Elk - Beaver Lake Regional Park, Beacon Park, Horth Hill Regional Park, Tulista Park, Coles Bay Regional Park, and the Island View Beach Regional Park. 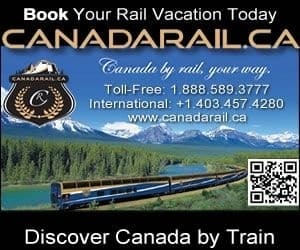 The best places for travelers to enjoy history and culture in Sidney, British Columbia, Canada and the surroundings areas includes the Port Sidney Marina, Sidney Murals, Shaw Ocean Discovery Centre, Sidney Museum and Archives, British Columbia Aviation Museum, and the Sidney Seaside Sculpture Walk. What are the Sidney BC Accommodations, Services and Amenities? What type of Sidney BC Canada places to stay are there available in the region? Places to stay include accommodations like hotels, motels vacation homes, cottages, bed and breakfasts, vacation homes and campgrounds. Important services and amenities for travelers when exploring in and around Sidney, BC, Canada includes tours, guides, pubs, real estate, restaurants, gas stations, gift stores, book stores, spas, liquor stores, banks, and transportation services including marina, taxi, bus, Victoria International Airport (YYJ), the BC Ferry Swartz Bay Terminal and the Washington State Ferries connecting to San Juan Islands and Anacortes. 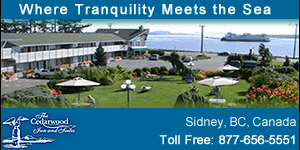 There is a good selection of Sidney BC Canada places to stay. eh! Plan Travel to Sidney, BC, Canada.